The Rebel Sweetheart. : Wordless Wednesday #75 | I Love My Job! Lucky are those who find a job they love. 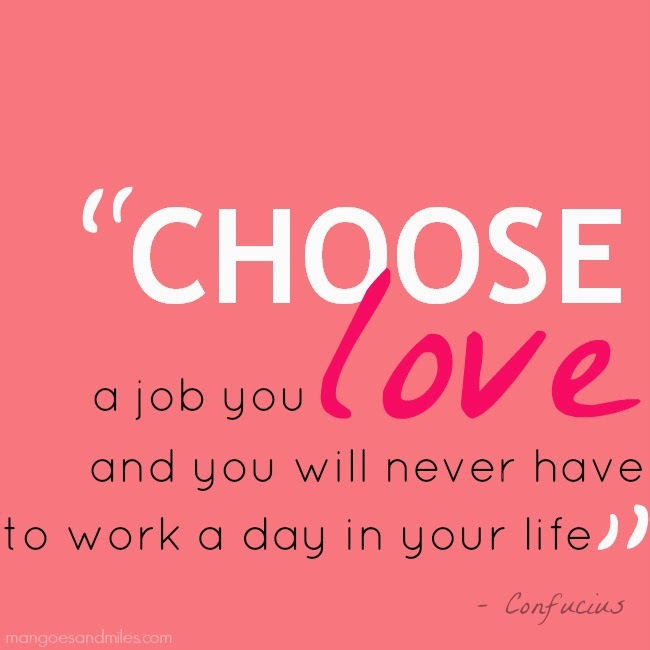 so very true~ glad you love your job! So true! What a great quote! So true. Thanks for sharing these important words! A great thought to keep in mind! !